WTF?! Nvidia has soft launched the MX230 and MX250 low-end laptop GPUs by silently publishing product pages, which list the MX250 as having worse performance than the nearly two-year-old MX150. While there’s a whole host of other considerations that we simply know nothing about, such as how much laptops equipped with them will cost, or how much cooling they require, it’s hard not to wonder exactly what Nvidia’s plan is here. Update: Nvidia has responded with a statement clarifying the performance of the two new GPUs: "GeForce MX250 delivers a minor increase in core clocks and up to 3.5GHz memory clocks (the MX150 was limited to 3GHz memory clocks). The GeForce MX230 brings Pascal architecture to this segment and delivers significantly more performance than the GeForce MX130." As for why the MX250 is listed as having 3.5x the performance of an Intel 620 integrated GPU while the MX150 has 4x the performance, Nvidia were using an i5-8265U to compare with the MX250 and MX230 while they used an older i5-7200U for testing the MX150 and MX130. The MX250 and MX230 definitely outperform the previous generation, with equivalent power and thermal limitations. 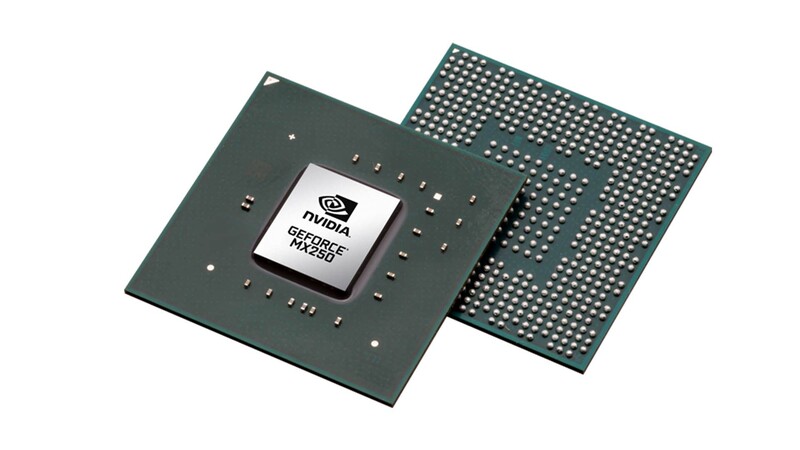 In traditional Nvidia fashion, the GPU's product pages reveal as little as possible about the actual specifications, but it is clear that these parts do not introduce new technologies and are still built on Pascal with GDDR5. That’s not inherently a bad thing, but what is pretty troubling is the performance metrics, which are multiples of the performance of Intel’s UHD 620 integrated GPU. The MX230 is 4% faster than its predecessor, while the MX250 is 12.5% slower. The power consumption could be a lot lower on the MX250, and that would be highly advantageous. The MX150 comes in two variants, one with a 25W TDP and another with a 10W TDP which has up to 25% worse performance. If the MX250 could deliver 12.5% worse performance than the 25W MX150 while using 10W, that would be pretty good. Similarly, if using the MX250 brought the total cost of a laptop down say, $50 from the MX150 then that’s not too bad either. However, surely Nvidia would list these sorts of benefits on its website, or at least not copy and paste the same product description from the MX150. What could be happening here is that Nvidia wanted to firmly update the MX230 from Maxwell to Pascal and didn’t want customers thinking the MX230 was better than the MX150. They thus rename the MX150 as the MX250 but drop the performance numbers slightly to avoid the backlash they got from having the 10W part perform so much worse than the 25W part. All that would be totally fine, but it would be nice if they stated that on their website. The bottom line here is that if you’re shopping for a new laptop, don’t be too concerned about getting an MX250 over an MX150.